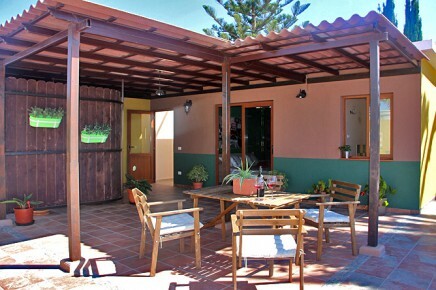 The Holiday House comprises 2 semi-detached bungalows: Casa Salamandra and Casa Lagarto, which are rented separately. 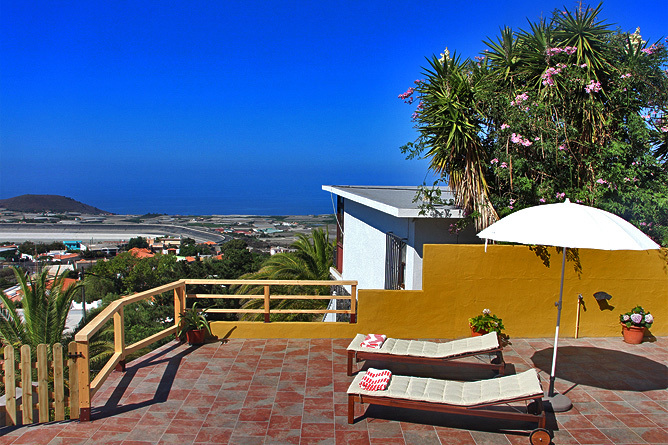 The two terraces are secluded and provide full privacy. 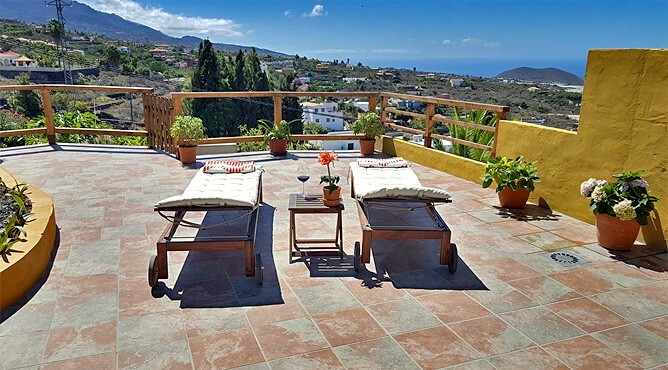 Casa Salamandra was renovated in 2016 and impresses by its modern, tasteful furnishing and fancy decoration. The semi-detached bungalow is a perfect choice for couples as well as a family. 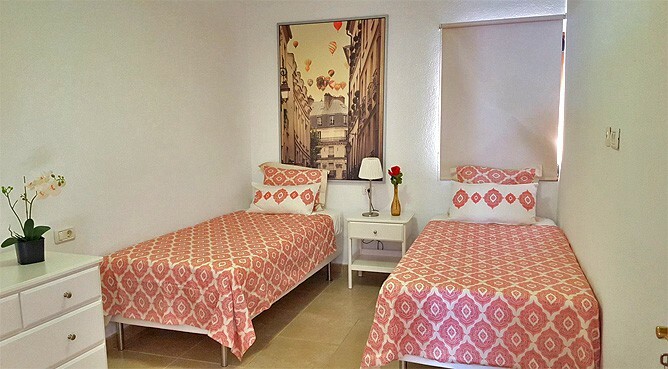 The Holiday House offers a central location and is a perfect starting point for all kinds of activities. 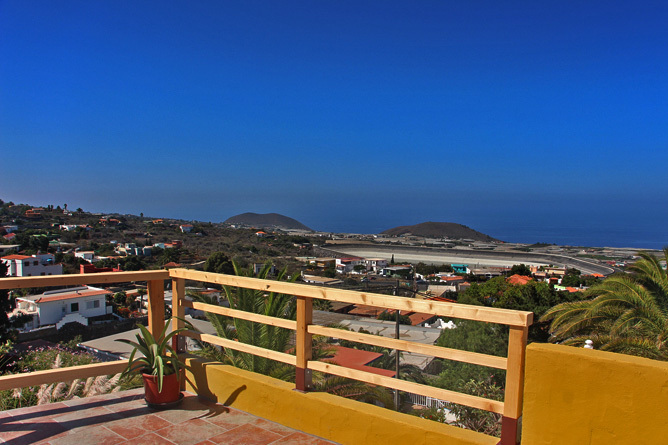 Casa Salamandra has been renovated in 2016 and the result speaks for itself. 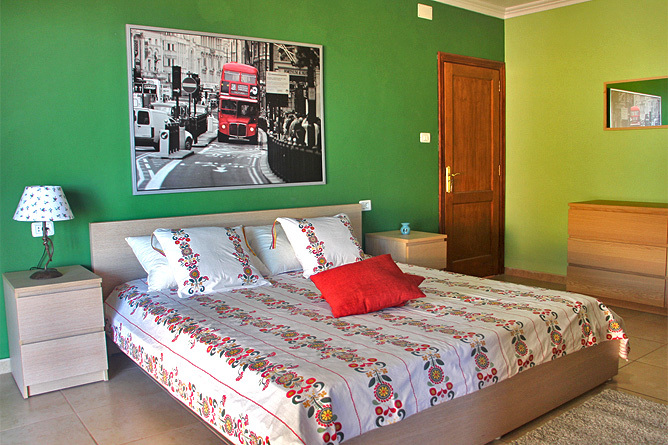 The same applies to its twin bungalow Casa Lagarto, which you can also book with us. 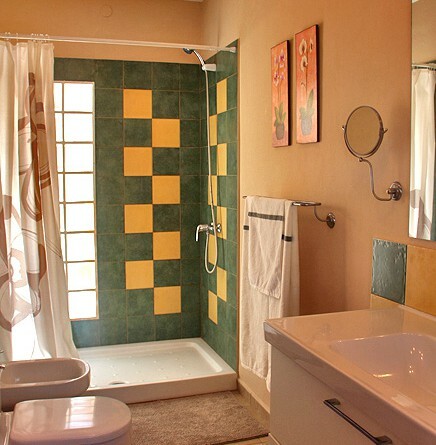 The semi-detached bungalows feature a sunny location with a beautiful, vast view of the Aridane Valley and the sea. 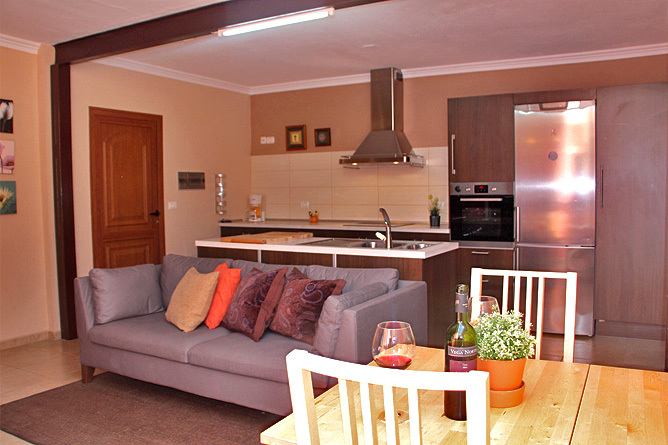 Each twin bungalow comprises a 160m² private area. 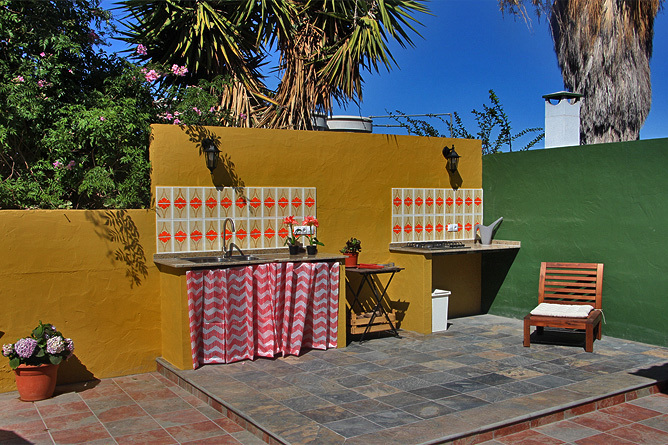 This two outdoor areas are secluded and not visible from either side, only the two terrace walls adjoin each other. 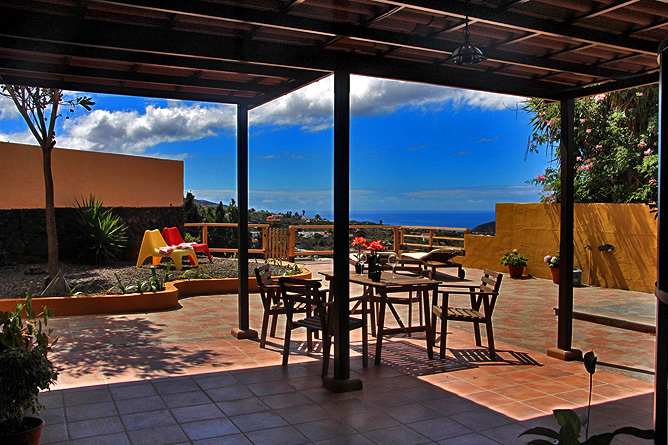 A large front terrace offers a magnificent panoramic view of the Los Llanos footills and the ocean. 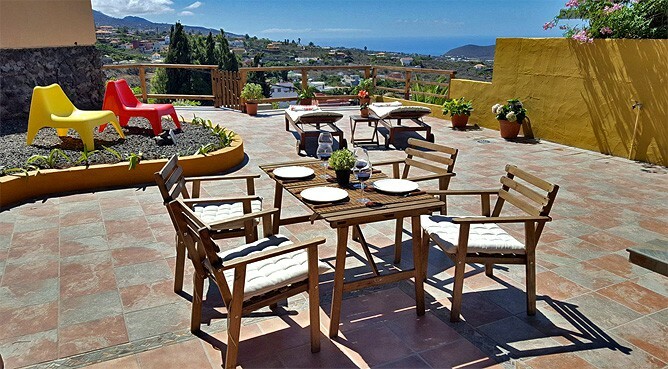 A roofed terrace with a table and 4 chairs in front of the living area is a nice place to make yourself comfortable. 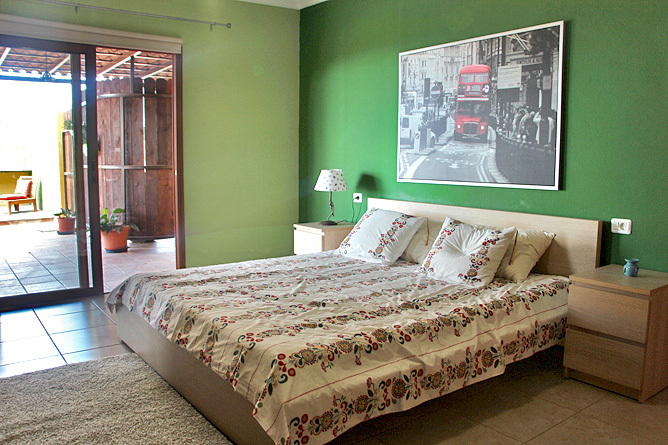 The main bedroom also provides access to the terrace. 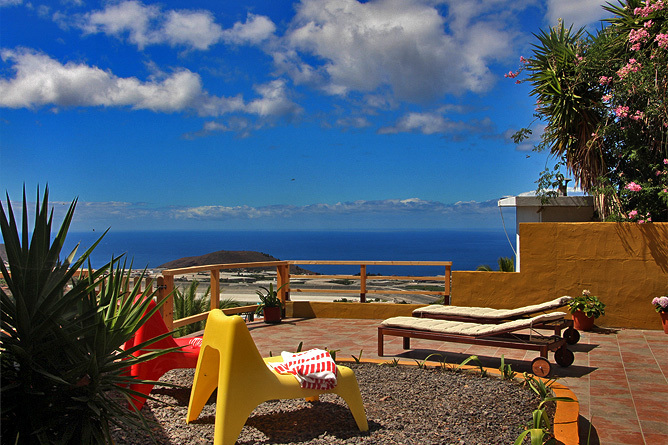 The recent redesigned outdoor with cacti and palm trees also features two loungers as well as two lounge armchairs. 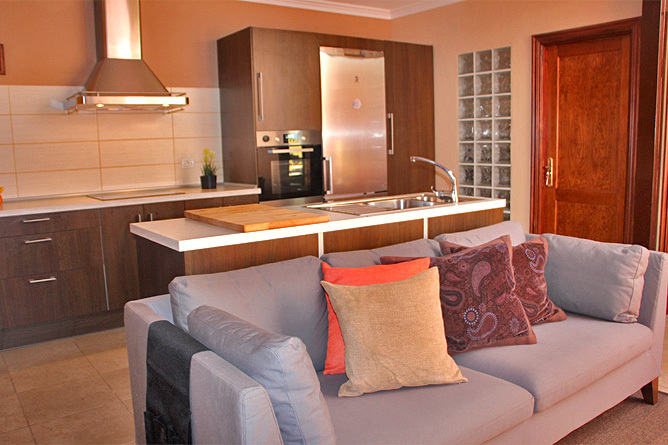 The 90m² living space comprises two bedrooms, an ensuite bathroom, a guest toilet as well as a combined living-dining area. A partially glazed roof floods the living area with light, a door provides access to the outdoor area. 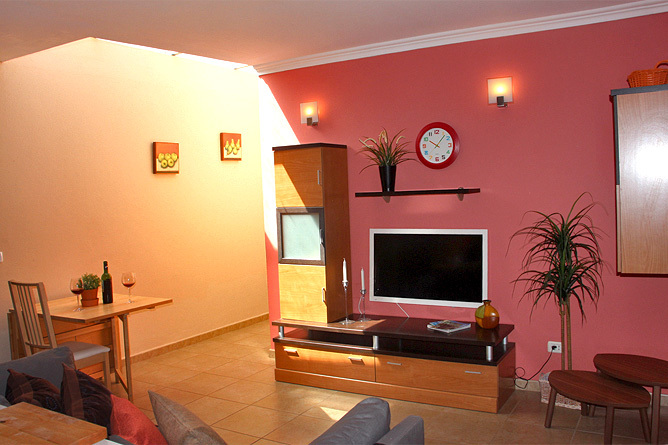 The central focus of the living room is the sofa, which also separates the living area from the dining area. 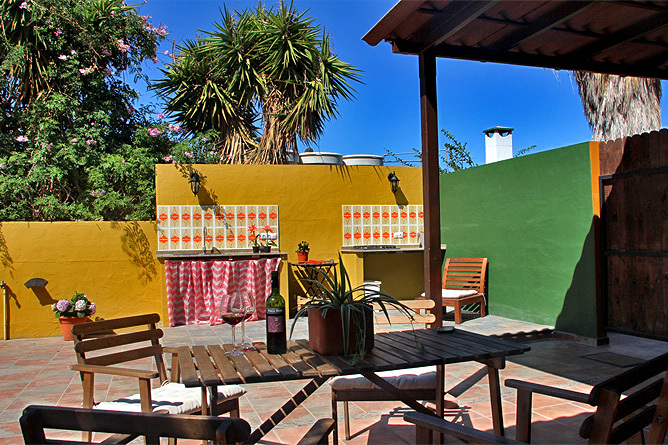 A small fold-out dining table to seat up to 4 persons is located at the wall, right under the glazed roof. Stylish furniture, colour accents and carefully selected decoration form a well-balanced whole. 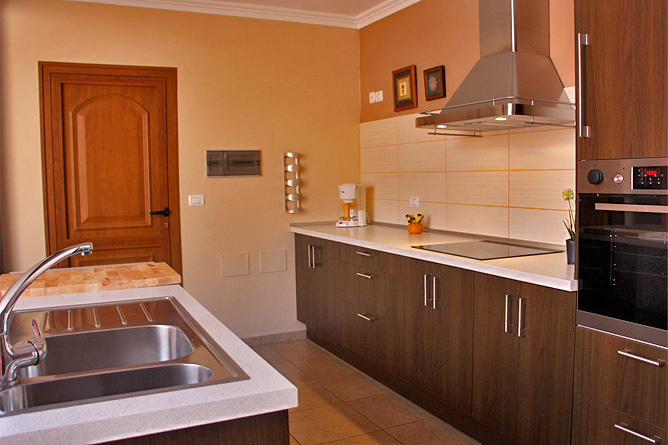 An American-style long counter with a sink separates the kitchenette from the living area. 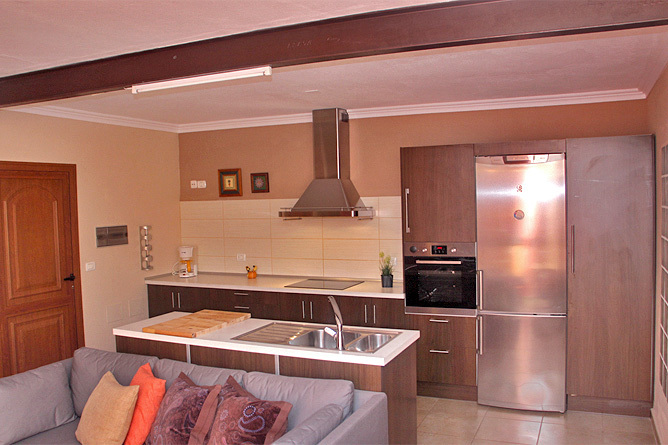 The kitchenette is modern and very well equipped and is newly fitted. 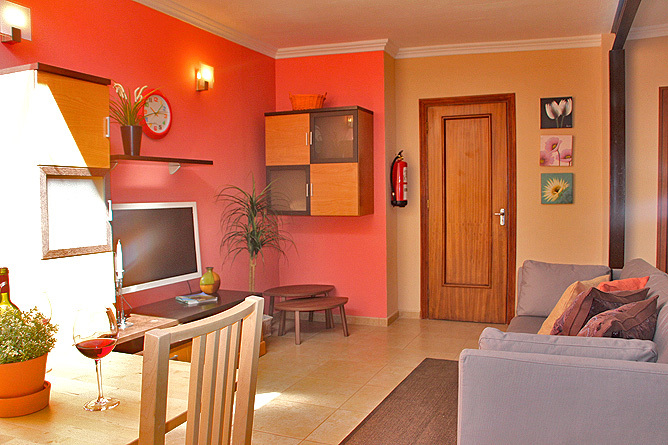 From the living area you have access to the two bedrooms and to the right of the entrance there is a small guest toilet. 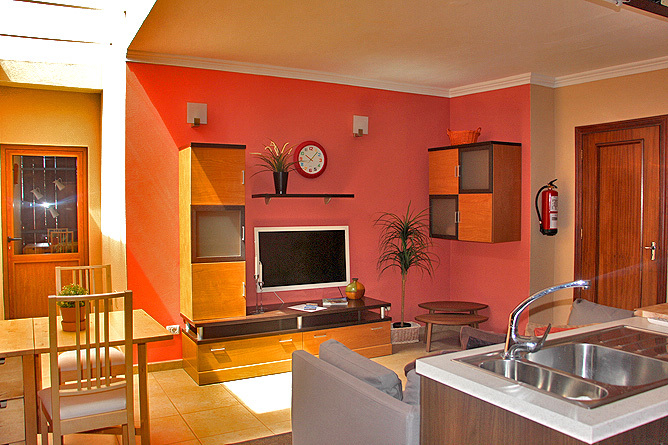 The double bedroom features a large, open wardrobe and a sliding door proving access to the terrace. There you also find a small TV with a DVD-player. 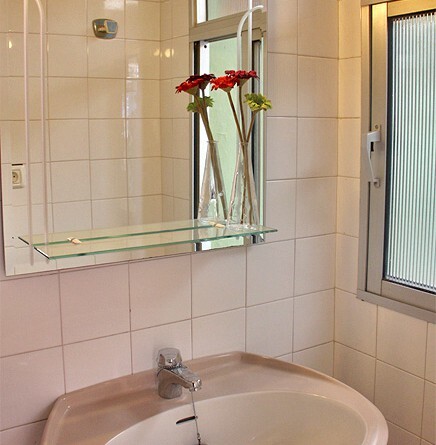 The modern-style ensuite bathroom has a shower, a toilet and a bidet. 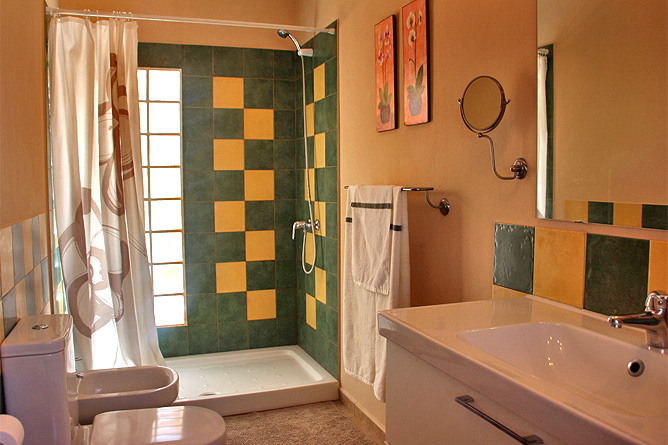 In both bedrooms the owners have attached great importance to quality. New mattresses provide a restful sleep. 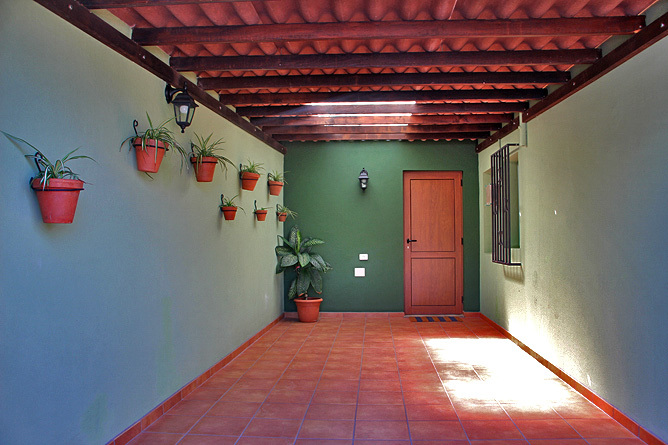 Los Llanos de Aridane as well as El Paso are within a 5 minutes' drive from Casa Salamandra. 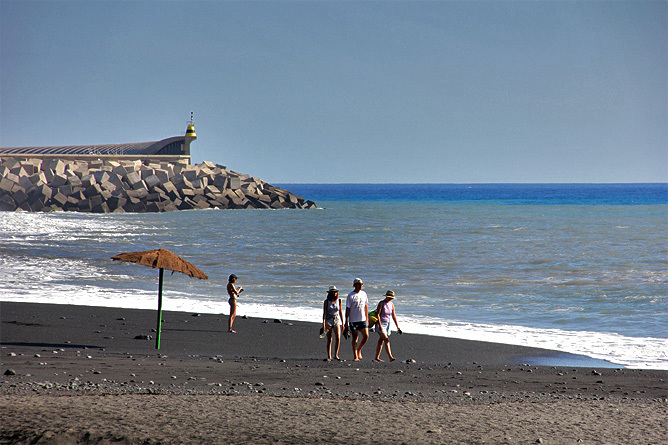 The sandy beaches of Puerto Naos and Puerto de Tazacorte are located within 10-15 driving minutes. 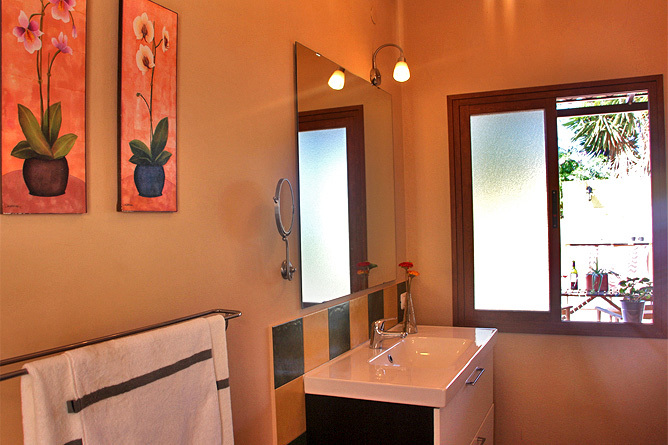 Two excellent and awarded restaurants, "Franchipani" and "Carmen" are within a short walking distance. Shopping facilities are in the close surrounding. Los Llanos is the second largest town of the island and invites with its beautiful Plaza and the pedestrian zone for a stroll or to enjoy a coffee while sitting in the sun. 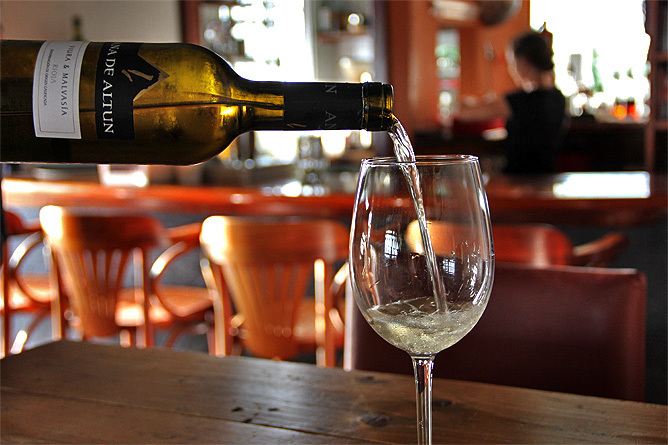 Many small restaurants and Tapas-Bars offer a varied cuisine. 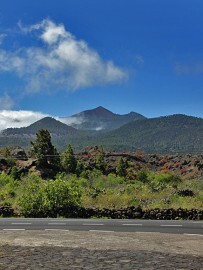 El Paso is also worth a trip: At the visitor centre of the Caldera de Taburiente you can find out about the formation history of the Caldera and beautiful hiking trails, for example to the Cumbrecita start there. 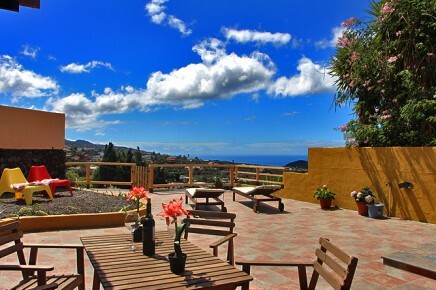 Modern furnished semi-detached bungalow with panoramic view of the Aridane Valley.